On the edge, wind plays with the stream. 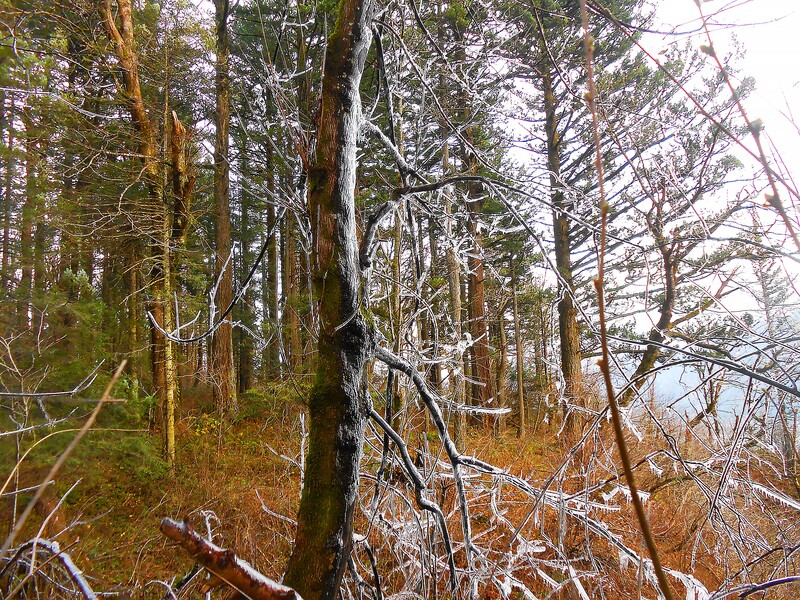 Its spatter freezing onto trees, who look weak, vulnerable, bent by the extra weight. On the edge, where the stream freezes, falling is continual, falling is a cycle. Roots are lost. On the edge, exposed, the sun isn’t always warm. It’s fickle, flirting with the cold, funneled winds. Relentless, always cycling. On the edge, spring holds no promise. Pockets of ice remain. Trees are cautious, curving into an array of uniqueness. On the edge, strength takes new forms, evolves into a balance. Depth is an art never grown in easy soil. I love the way your words flowed. The repetition and alliteration really gave this a unique and haunting feel. Well done! Thanks Erin. I tried to include hanging lines like in Ginsberg’s Howl, but WP doesn’t have a lot of choices as far as text is concerned. damn, so epic and simple. wow! Your poem expresses well the dizzying idea of depth on so many levels. I also agree with your response above. WP does not give you many creative choices when it comes to text. A remarkable post, truly remarkable. Stunning beauty in your images. Your last line incorporates the wisdom of your poem. I like the words: “Flirting With The Cold” and “Evolves Into A Balance” … ! Profound insights, Elan, and an elegant metaphor to describe the depth required to remain standing and well-grounded on the edges. And, that narrative itself is Poetic ☺ … ! wow.This piece has been well crafted to the extent that one feels taken away into another world. The last line settles it so well! This is very “deep”! I had a similar thought while i was sitting on a fallen tree on the edge of a cliff. Gosh, i’m so happy i didn’t fall, now that i think about it!